Ever Get the Feeling that You Are Being Watched? 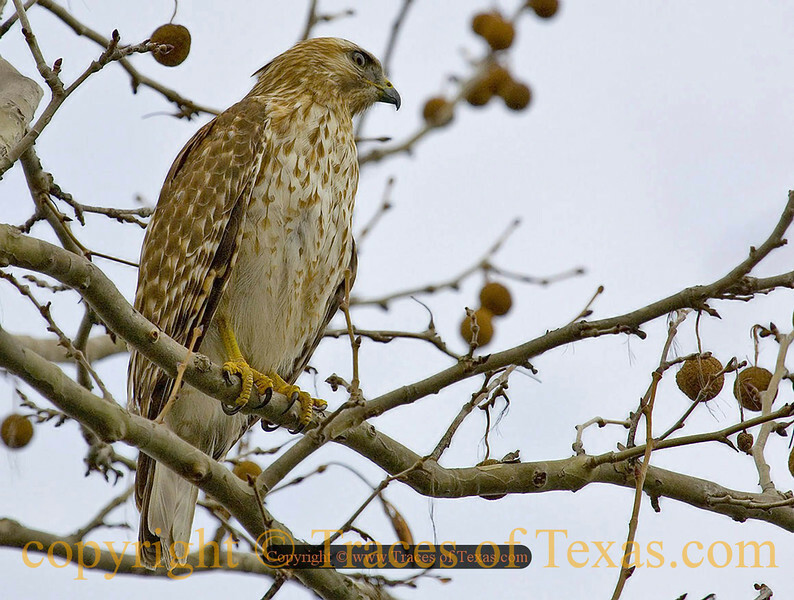 Just driving down a routine neighborhood street in San Antonio when I spotted this young Red Shouldered Hawk (Buteo lineatus). He let me walk up pretty close before flying away. Sorry, but that is incorrect. Look at the short tail. It is NOT a Cooper's as this is not an accipiter, but a buteo. Ar first I thought that it was a young Red-Tail, but the head shape and thin legs exclude that. Then I thought it might be a young Broad-winged Hawk, but the more heavily streaked breast and, most importantly, barring on the folded flight feathers give it away: it is a young Red-shouldered Hawk.